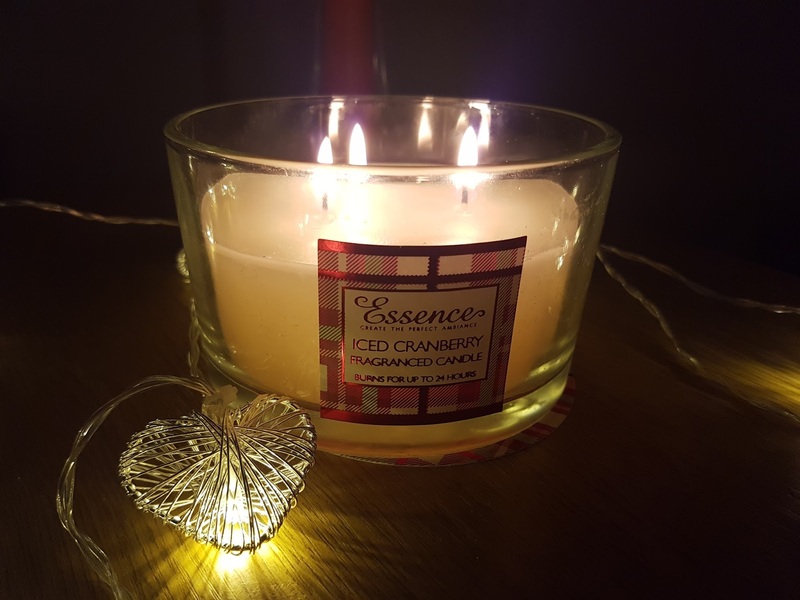 Carrying on the new weekly tradition, this week's candle of choice is one from the B&M Essence range, the scent I've chosen is Iced Cranberry. Being Scottish, the first thing I love about this candle is the tartan design on the labelling. Nowadays you get lots of gorgeous tartans, in various beautiful colours however I love that this is traditional red tartan this detail definitely gets a thumbs up for me! The second thing I love is the size/shape; this one is a three wick candle, which not only means more efficient burning, but also better fragrance! This candle isn't as tall as usual but it is much wider which I think looks nicer than more standard shaped ones. The scent is just gorgeous, it's sweet without being over bearing. The cranberry is a perfect scent for autumn too. After burning this candle for about 10-15 minutes my living room smells incredible. The approximate burn time is 24 hours so this is definitely worth the £2.99 price tag - what a buy!